The Suite Sleep Little Lamb Natural Latex Mattress is one of The Natural Sleep Store’s best-selling organic mattresses for kids. 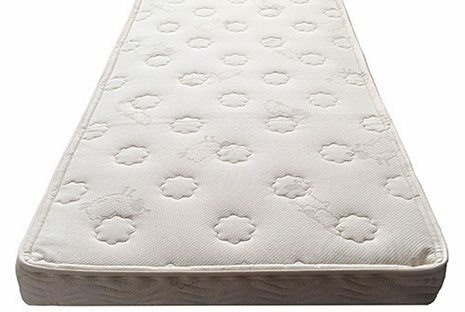 Parents love this mattress because it’s made with healthy, clean, quality materials, and has an affordable price point. We love this mattress for its quality and versatility. The Little Lamb is made with medium/firm density Dunlop latex, available in either 4-or-6 inches. The latex is wrapped with 100% GOTS certified organic cotton, quilted to 100% organic wool batting that is certified by Oregon Tilth. The medium/firm density makes it the perfect comfort for little ones transitioning from a crib to a “big kid” bed. The Little Lamb mattress is a great mattress on its own, but it is also the fundamental component of the “Grow With Me” sleep system. The additional building blocks of the sleep system include a 1.5 inch wool topper and a 2 inch latex topper that you can add over time, if your child requires extra softness as they grow. We are so excited about these options, and the versatility they create. You can choose to add one or both toppers if and when you need them! Kids love it because it’s styled with them in mind; the organic cotton cover features adorable leaping lambs and cloud-shaped tufting. The Suite Sleep Little Lamb 4 inch Twin mattress (a $959 value) is our Earth Day Giveaway—one of our biggest and best giveaways yet! ENTER to win. Not in the market for a 4” Twin Little Lamb? If you win, choose a $400 gift certificate to The Natural Sleep Store! No purchase necessary to win. Giveaway runs from April 1st through April 30th, 2014. –Winners can upgrade to a 6 inch Twin Little Lamb mattress for $250, 4 inch Full Little Lamb Mattress for $400 or a 6 inch Full Little Lamb Mattress for $750. 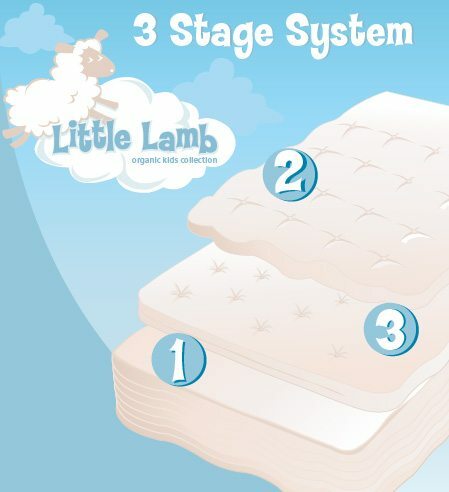 –Need to purchase a Little Lamb prior to the drawing OR already purchased a Little Lamb from The Natural Sleep Store? If you have purchased a Suite Sleep Little Lamb mattress prior to the drawing, and you win this giveaway, we will refund you $750! Giveaway is now over, congrats to Tristen Coyle, you won a Little Lamb mattress!